Brilliant, bold, hypnotic, and playful. 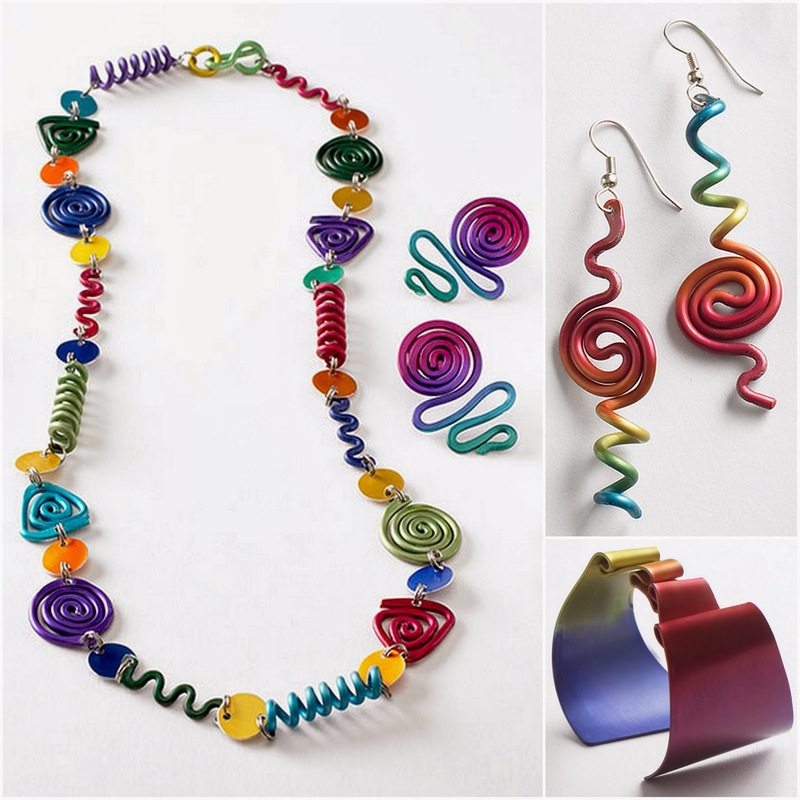 Just a few ways to describe Sylvi Harwin's unique line of anodized aluminum jewelry. We've been a fan for years, so we're thrilled to give you a peek inside her studio and the artistic process that sets her apart. When I was in high school I made very sculptural cuffs out of paper maché & painted them, then sold them to my mother's friends. That was when I began making colorful sculptural pieces. Sculpture was always important to me; I used to stuff canvas to create 3D paintings as well. 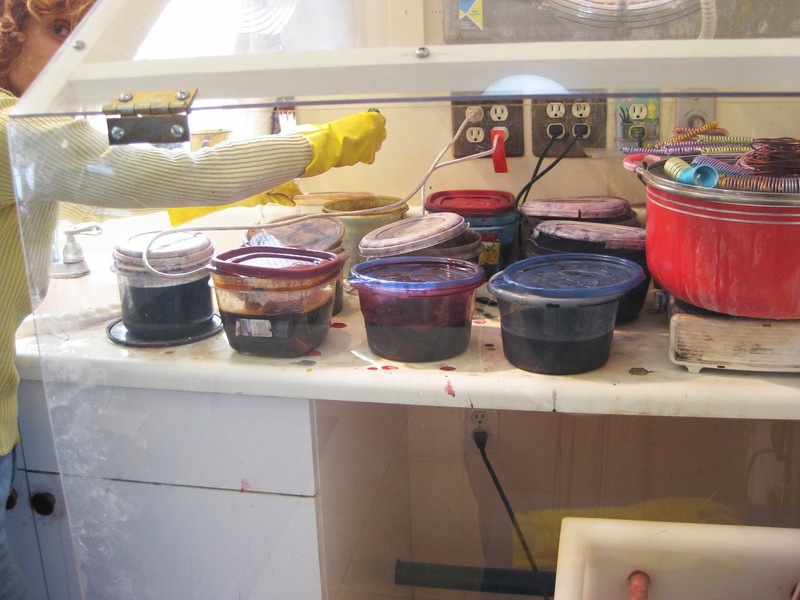 I took a class in anodizing aluminum from Arlene Fisch at San Diego State University in 1982, fell in love with the medium, and have been working with it ever since after devising my own system of going about it. They are made from start to finish in my studio in southern California. 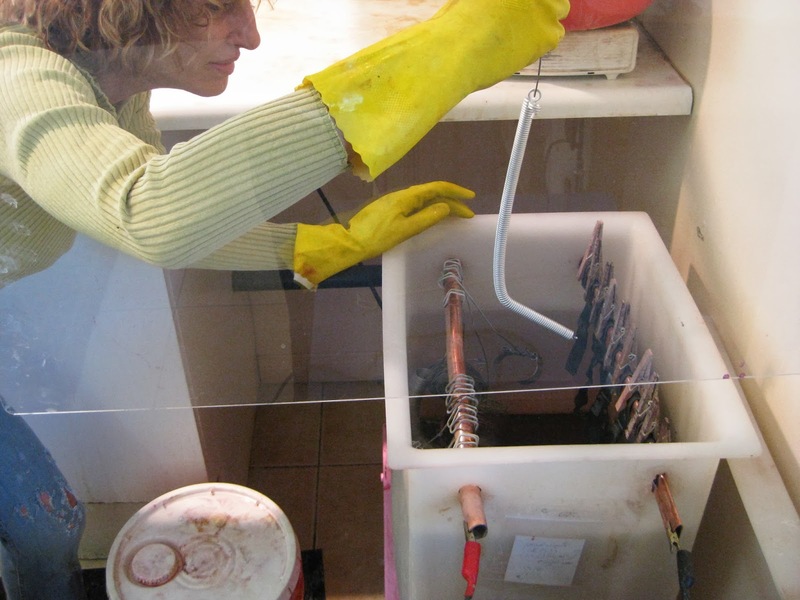 I converted a 4 car garage on my property into a studio & set up my anodizing tank in a corner with an evacuation vent. I have a couple of helpers who either assemble or do some of the wire work for me. 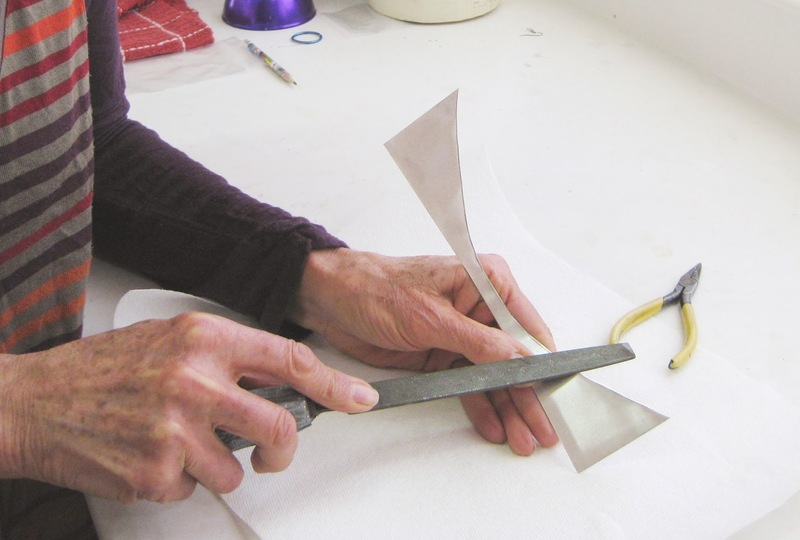 I work hands-on on every piece starting with aluminum sheets or spools of aluminum wire in the raw aluminum hydroxide state. It is an industrial process which involves converting aluminum hydroxide to aluminum oxide, which is a reactive state respondent to coloring agents. The metal is electro-chemically prepared, then dyed and sealed, rendering the color permanent and the metal non-corrosive. The light weight and malleability of this metal afforded me a vehicle to make unusual jewelry like wearable sculpture and develop special coloring techniques to satisfy my love of color. The inspiration for the pieces comes to me in dreams, from nature, from looking at previous work of mine and taking it a step deeper. Between partial upbringing and education in Europe and the United States, 5 years living in Mexico and extensive world travel, I have developed a very personal style which reflects this background. From the first 3-D stuffed paintings I exhibited in Mexico City to my present creations, my work has always been very colorful, sculptural and sensuous. Thank you Sylvi! Click here to see all of Sylvi's creations.